Do You Have a Junk Car or Truck? We buy Junk Cars in the Central Jersey Area. Clean up your driveway, garage or yard and make a few bucks selling your unwanted vehicles to us. 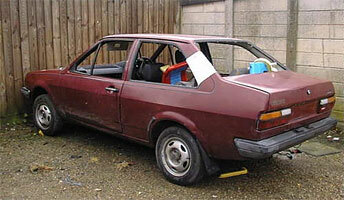 We buy all makes and models of vehicles, in any condition, running or not. We'll even provide free towing of your junk car or truck. The professional and knowledgeable staff at Bill's Towing is always here to help you with your vehicle transportation or unwanted vehicle needs. We have 30 years of experience and we are fully insured. We are available 24 hours a day, 7 days a week, and we'll never leave you stranded! We also provide fast reliable towing and auto transport services, as well as auto salvage services.